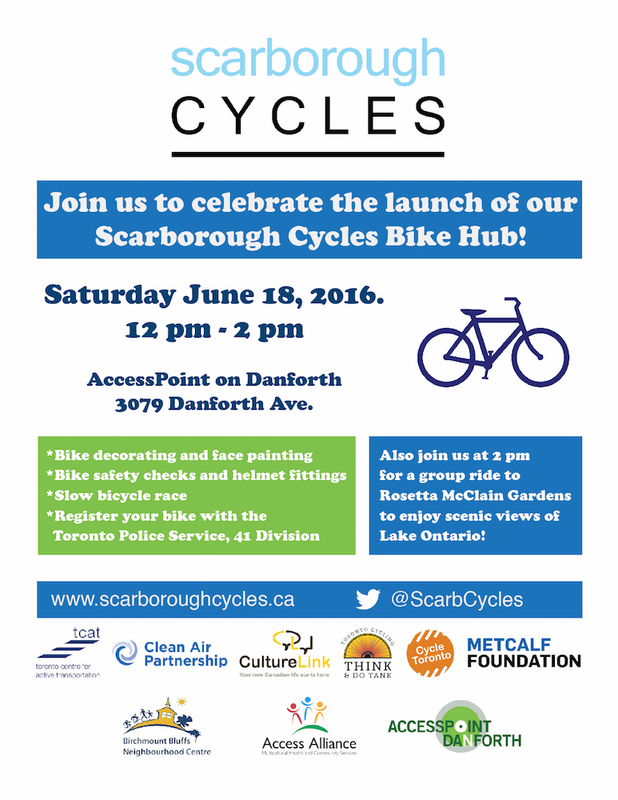 Home » NEWS » General » Scarborough Cycles Bike Hub Launch at AccessPoint on Danforth. Sat. Jun. 18, 12 pm – 2 pm. Scarborough Cycles Bike Hub Launch at AccessPoint on Danforth. Sat. Jun. 18, 12 pm – 2 pm. Join us to celebrate our new community bicycle hub! Events include: bike decorating, bike safety checks, helmet fittings, and a slow bicycle race. You can also register your bike with the Toronto Police Service, 41 Division. Also come join us at 2 pm for a group ride to Rosetta McClain Gardens.